Bag-90D Speaker Stand Tote for Two Regular Sized Speaker Stands The Bag-90D by Ultimate Support is the perfect addition to your gigging rig! Each Bag-90 holds two of our regular sized speaker stands, including the TS-100B, TS-90B, TS-80B/TS-80S, and TS-70B. It is a heavy-duty tote bag with a reliable zipper and enhanced pulls. The Ultimate Support Bag-90D also features two strong, durable hand grips that velcro together to give you added carrying strength and comfort. Bag-90D Features: Carrying tote for two speaker stands Color: Black Size: 10.5" x 49.5" Designed to carry two of the following: TS-100B, TS-90B, TS-80B/TS-80S, and TS-70B Reliable zipper and enhanced pulls Two carrying hand grips combined with velcro Includes hang tag pouch for name, address, etc. Bag-99D Speaker Stand Tote for Two Extra Tall Speaker Stands The Bag-99D by Ultimate Support is the perfect addition to your gigging rig! Each Bag-99D holds two of our extra tall sized speaker stands, including the TS-110B, TS-110BL, TS-99B, TS-99BL, TS-88B and our Lighting Tree Stands, the LT-99B and LT-88B. It is a heavy-duty tote bag with a reliable zipper and enhanced pulls. The Ultimate Support Bag-99D also features two strong, durable hand grips that velcro together to give you added carrying strength and comfort. Bag-99D Features: Carrying tote for two speaker stands Color: Black Size: 10.5? x 60.5? Designed to carry two of the following: TS-110B, TS-110BL, TS-99B, TS-99BL, TS-88B and our Lighting Tree Stands, the LT-99B and LT-88B Reliable zipper and enhanced pulls Two carrying hand grips combined with velcro Includes hang tag pouch for name, address, etc. K&M 21070 Tripod Microphone Stand with 32" Boom (Black) K&M proprietary Swiss steel tubing, fixed length boom arm and zinc die-cast base with long folding legs for stability. Square swivel joint with large wing nut boom fastener. Copyright © 2019 Roth Sound. 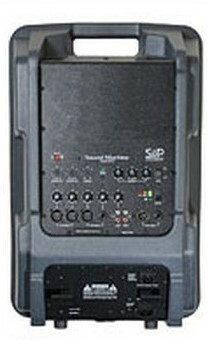 Most users do not need a license to operate a wireless microphone system. Nevertheless, operating a microphone system without a license is subject to certain restrictions: the system may not cause harmful interference; it must operate at a low power level (not in excess of 50 milliwatts); and it has no protection from interference received from any other device. Purchasers should also be aware that the FCC is currently evaluating use of wireless microphone systems, and these rules are subject to change. For more information, call the FCC at 1-888- CALL-FCC (TTY: 1-888-TELL-FCC) or visit the FCC’s wireless microphone website at www.fcc.gov/cgb/wirelessmicrophones.